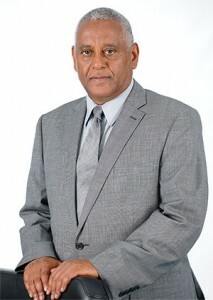 Mr. Ibrahim Abdullahi Zeidy is the current Director of the COMESA Monetary Institute. He set up the COMESA Monetary Institute which became operational in March 2011. Previously, he worked as a Senior Monetary Economist at the COMESA Secretariat, in Lusaka, Zambia for 11 years and as a Director of Research in National Bank of Ethiopia which is the country’s Central Bank for 6 years. In both institutions, he worked as a researcher and coordinated research activities. He also organized many knowledge sharing workshops on Monetary and Financial Intergration issues. In his current role, Mr. Zeidy is responsible for the implementation of the COMESA Monetary Cooperation programme which is aimed at ultimately achieving the COMESA Monetary Union. Mr. Zeidy has M. Phil Degree in Monetary Economics from Glasgow University, with about 30 years of experience on macroeconomic policy and financial sector issues. He participated in many international and regional conference and workshops.